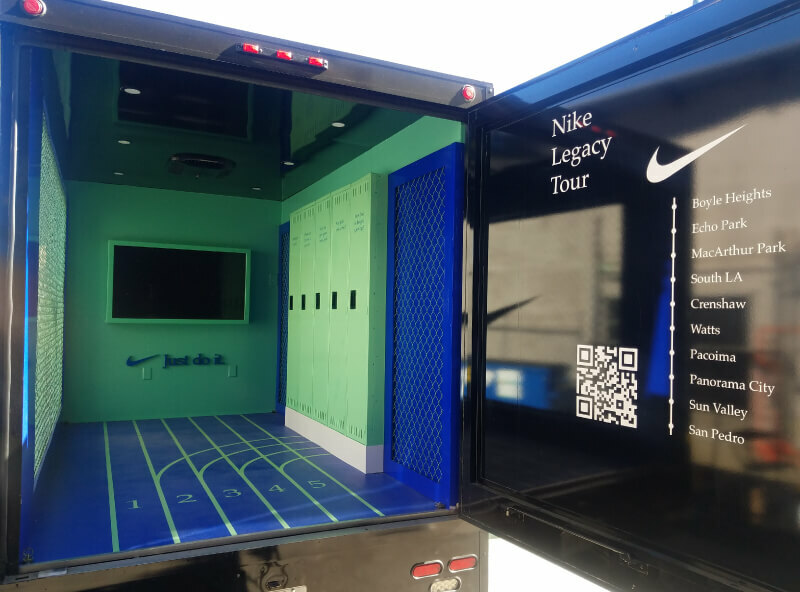 Nike needed some graphics on their awesome tour truck so we vinyl wrapped the side of the truck, interior walls, back door, and lockers! 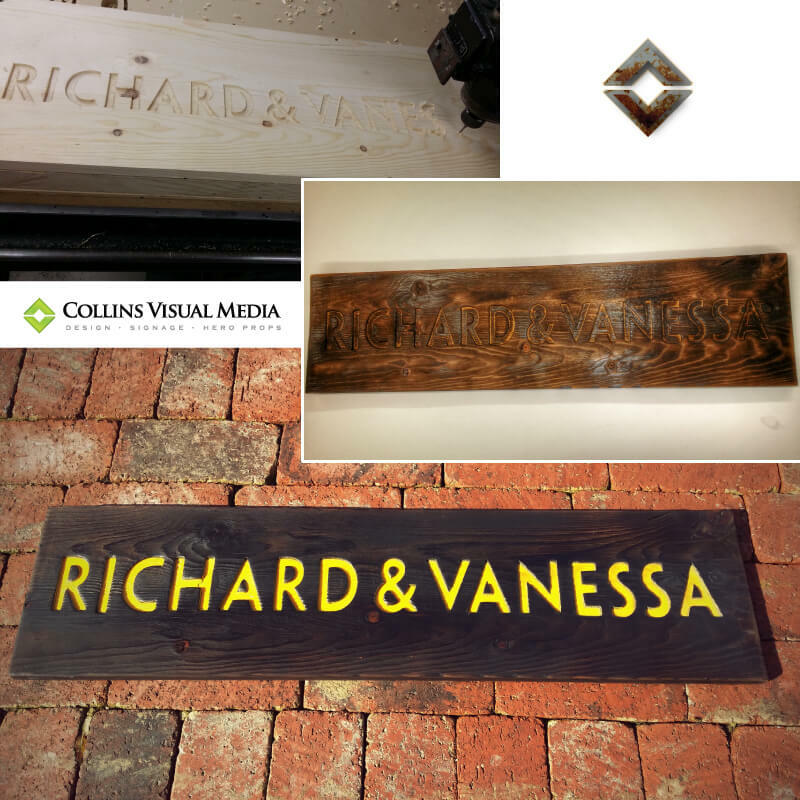 Time to hit the road! 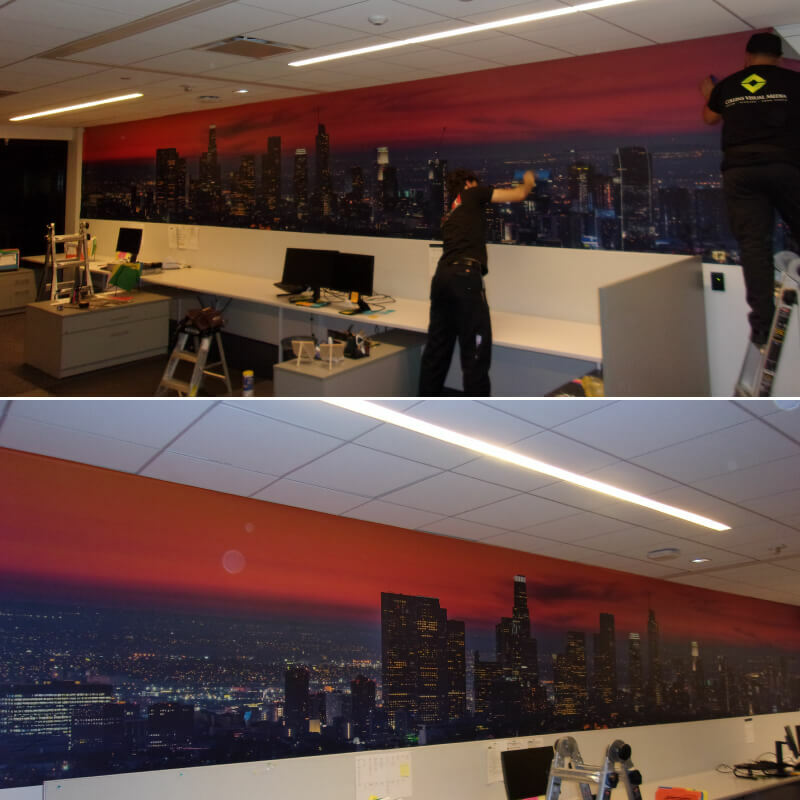 This is an awesome wall graphic that we installed in the Ventura room. 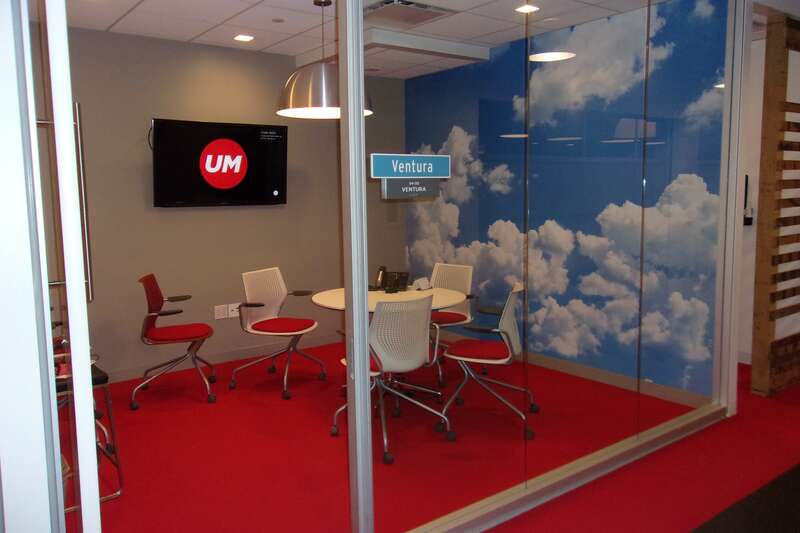 #CollinsVisualMedia #CVM #WallGraphics #Clouds Visit our website to see more of our wall and floor graphics!